Wyke Farms, the UK’s largest independent cheese producer and exporter, is to double capacity at its Somerset production site after gaining planning permission. The firm, which has been making its award-winning cheddar to a secret family recipe for more than 150 years, has grown to become one of the largest family-owned cheese makers in Britain, selling more than 15,000 tonnes annually to 160-plus countries around the world. The new development, which will rebuild most of its existing site at Bruton, near Shepton Mallet, is part of a five-year growth plan that targets increasing brand presence in export markets. The firm also said this was in preparation for post-Brexit trade as well as launching new export-targeted products this year. The move is the culmination of market prioritisation research conducted by the firm, which in the year to last March achieved a record turnover of £85m – 26% up on the previous year, despite what it described as a challenging retail landscape. It is now looking for further rapid growth this year through significant investment in world markets with a growth plan that aims to push turnover through the £100m barrier. The dairy expansion will create a 16,589 sq m state-of-the-art production facility. Names Ivy’s Dairy after Wyke Farms’ matriarch Ivy Clothier, it will be built to her founding principles of producing the best-in-class quality combined with an industry-leading respect for the environment. The firm said the development will be energy and water efficient and sympathetic to the surrounding environment, with soft landscaping and a natural grass roof and will create a sustainable, long-term future with enough infrastructure for servicing increased sales of its award-winning cheddar in the UK and export markets. 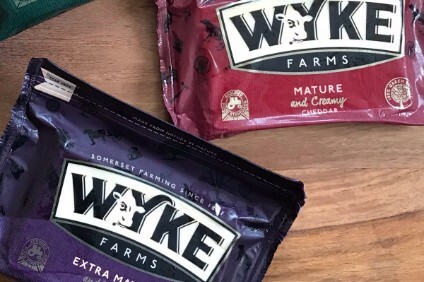 Wyke Farms managing director Richard Clothier, a third-generation family member, said: “Our strategy of selling into a growing export market has been very successful.